In recent social research, ethnicity has mostly been used as an explanatory variable. It was only after it was agreed that ethnicity, in itself, is subject to change, were the questions of how and why it changes, possible to answer. This multiplicity of ethnic identities requires that we think of each society as one with multiple ethnic dimensions, of which any can become activated in the process of political competition - and sometimes several of them within a short period of time. 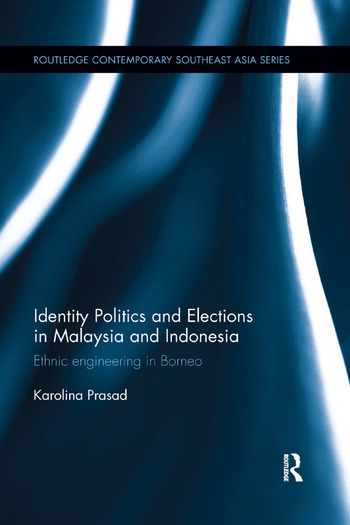 Focusing on Malaysia and Indonesia, this book traces the variations of ethnic identity by looking at electoral strategies in two sub-national units. It shows that ethnic identities are subject to change - induced by calculated moves by political entrepreneurs who use identities as tools to maximize their chances of winning elections or expanding support base - and highlights how political institutions play an enormous role in shaping the modes and dynamics of these ethno-political manipulations. The book suggests that in societies where ethnic identities are activated in politics, instead of analysing politics with ethnic distribution as an independent variable, ethnic distribution can be taken as the dependent variable, with political institutions being the explanatory one. It examines the problems of voters’ behaviour, and parties’ and candidates’ strategy in a polity that is, to a significant extent, driven by ethnic relations. Pushing the boundaries of qualitative research on Southeast Asian politics by placing formal institutions at the centre of its analysis, this book will be of interest to students and scholars of Southeast Asian Politics, Race and Ethnic Studies, and International Relations. Karolina Prasad gained a PhD from Hamburg University, Germany, in 2013, after carrying out extensive research in Borneo. She also graduated with an M.A. in Political Science from Warsaw University, Poland, in 2006.